[RIP James Ingram] -- I had something else in mind for this week's Flashback. But then I read the news of James Ingram's passing. He lost his battle with brain cancer at the age of 66 on 1/29/19. Now, if the name isn't familiar, I'll bet his voice was. Ingram's smoothly soulful voice lent itself to a number of hits in the 80s and 90s. Interestingly, the vast majority of those hits were collaborative in nature. He was either a guest on another artist's record, or he was featured in a duet. He didn't score a solo hit until 1990. But you know his collaborations. "Baby, Come to Me" with Patti Austin in 1982. "What About Me?" with Kenny Rogers and Kim Carnes in 1984, And "Somewhere Out There," from 1986's An American Tail: Music from the Motion Picture Soundtrack, with Linda Ronstadt. According to Wikipedia, Ingram scored eight Top 40 hits on the U.S. Billboard Hot 100, 13 top 40 hits on the Hot R&B/Hip-Hop Songs, 20 hits on the Adult Contemporary chart, and two Hot 100 #1 singles. If you want to know what tracks I've chosen to remember him from that spectrum of hits, read and hear more after the jump. Flashback #1: "Just once... | Can't we figure out what we keep doin' wrong." James first broke the airwaves as a guest on Quincy Jones' 1981 studio album, The Dude. For his performance, he earned three Grammy nominations and winning two of them: Best Pop Male Vocal, and Best R&B Vocal. Yes, James, you did your best. And it was more than good enough. Flashback #2: "Yah mo be there (up and over)." Combining two soul singers, James Ingram and Michael McDonald, for a song about god and the power of faith seems like a sure win. And it peaked at #44 on the UK Singles, #19 on the US Billboard Hot 100, and #5 on the U.S. Billboard Hot R&B/Hip-Hop Songs charts respectively. It can be interpreted as meaning "God will be there," with "Yah" representing Yaweh and "Mo" being short for Mohammed, indicating that the deity of the Jews and Muslims share an origin in Abraham's family. Whatever the lyrical intent, I contend that the combination of Ingram and McDonald's voices is absolutely divine. Flashback #3: "To learn all about the | Secrets in your garden." I was a bit stuck on what to present as this week's third and final Flashback. I mean, I already teased a few of Ingram's most popular tunes in the intro, and followed up with his solid debut and a divine duet. So what was left to do for his career in the 80s. And then I remembered "The Secret Garden (Sweet Seduction Suite)." This was a single from Quincy Jones' 1989 album, Back on the Block. 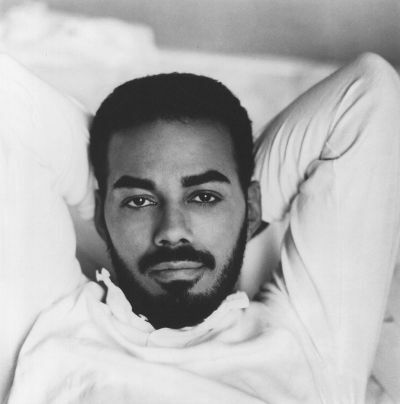 James Ingram shares lead vocal duties with a who's who of R&B and soul greats: Barry White, El DeBarge, and Al B. Sure! It went to #1 on the US R&B chart, and peaked in the top 40 of several other charts.